Oops! Does Confidentiality Survive When One of the Clients Dies? 1) What limitations, if any, do you think there should be on a family mediator who discloses otherwise confidential information when one of the clients dies? 2) What, if any, are your state’s laws or ethical rules on this subject? One of the most essential elements of mediation is confidentiality. All Standards mention it and many clients come to mediation because of its strong emphasis on confidentiality. They do not want others knowing their highly personal business. However, we have seen the limits of confidentiality tested in recent months. A mediator for the parents of Adam Lanza, the shooter at the Sandy Hook Elementary School in Connecticut, allegedly spoke out publically about information that was confidential during a mediation, because one of the clients (the former wife) was shot dead by their son. Is this release of confidential information appropriate? Is it legal? Is it ethical? In other words, confidentiality exists for all participants, which includes the mediator, unless all participants agree to release the confidentiality. In other words, any party or the mediator can refuse to disclose confidential information, unless all the parties and the mediator agree to release it. This is a well-reasoned law and has been consistently upheld by the California Supreme Court despite many attempts to weaken it. Now, what about after one of the participants dies? The mediation laws do not address that, but the Standard in California for therapists and lawyers is that the client “holds the privilege” and that only the client can authorize the release of communications or writings from confidential therapy sessions. When a couple is in therapy, it takes both clients to allow the release of confidential information, otherwise neither one can individually disclose anything. Note that none of this is up to the therapist or lawyer, because, unlike in mediation laws, these professionals are not “participants” in the confidentiality laws for therapists and lawyers. A famous example of this violation was when Susan Forward, a therapist and author, told the press what Nicole Brown-Simpson said to her in therapy, right after O.J. Simpson allegedly killed Nicole. Ms. Forward was required to write a booklet on therapist confidentiality after a client dies, including the fact that the administrator of the client’s estate continues to “hold the privilege.” So it is a common professional error, but also a dangerous one. In each of these professions, without unanimous agreement by all clients involved to release information, the professional’s hands are tied. In other words, a husband cannot release a wife’s confidentiality, even if the wife is now dead. When a therapy client or law client dies, the administrator of their estate “holds the privilege” and nothing can be released without that entity’s permission. What this says to me is that the result of decades of thinking, experience and discussion is a unanimous conclusion that clients should have a nearly ironclad confidentiality in law, therapy and mediation. I would suggest that we have an ethical standard on this issue like the laws we already have in California. Where Would YOU Land? 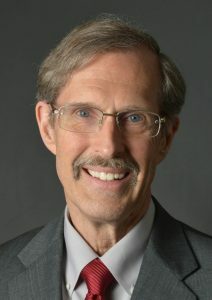 Bill Eddy, L.C.S.W., J.D., has been mediating family disputes since 1979. He is a therapist, a lawyer and the Senior Family Mediator at the National Conflict Resolution Center in San Diego, and he is a Founding Board Member of the Academy of Professional Family Mediators. As President of the High Conflict Institute, he provides training in managing and mediating high conflict disputes. He is the author of several books, including High Conflict People in Legal Disputes. His website is: www.HighConflictInstitute.com.